Here on the Gulf of Mexico, Indian Rocks Beach Florida temperatures are soaring. Yesterday was 31C or 88 F. Finding shade when painting is of utmost importance. Bearing large cappucinos, Mary Rose, Violetta and I arrived at our assigned meeting spot. Our chosen spot offered cool shade beneath a copse of live oak and palm trees. We sketched and all made a good start on individual oil paintings. Lunch at Keegans. Our choice grilled grouper cheek sandwich. behind us was discussed and a walk along the beach quickly put an end to that plan. 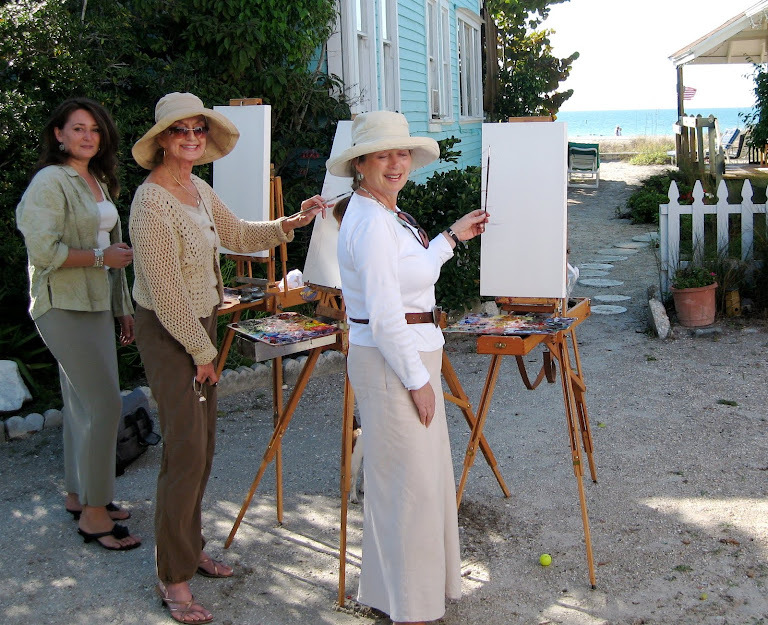 Painting in plein air make all these gorgeous women look so french and so chic! Lovely post, congratulations on your beautiful blog. Thank you for your lovely comments on my blog. 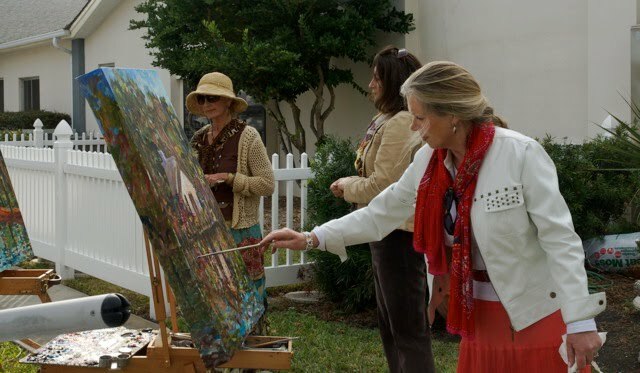 I always find it so intriguing to see plein air artist at work. You three make it look so romantic and elegant. The three of you make me smile! You look so happy and are so talented and bring joy not only to the people who see you painting, but those who purchase your art and those of us who get to see your work on the blog!